We seize opportunities to strengthen our community. 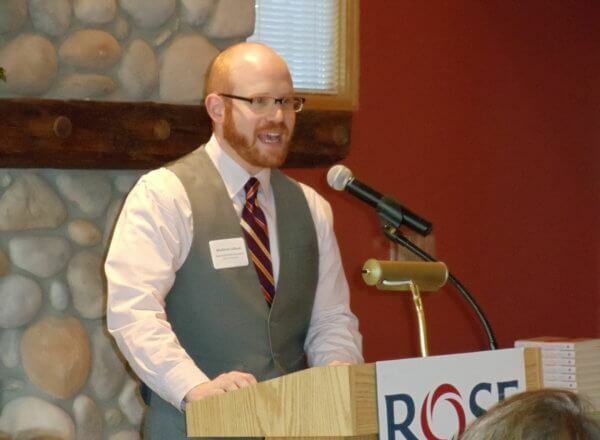 Rose Community Foundation creates and leads initiatives that help achieve our mission and strategic priorities. We often do this work in collaboration with other funders who share similar goals. These initiatives help advance a conversation, bring to light an emerging community issue, fill a gap, or bring more people to the table to make our community better. Boomers Leading Change connects and empowers adults 50+ to utilize their skills, experience and passion to create positive, lasting social change. Changing the Narrative is a cutting-edge awareness and communications campaign to create a more just, inclusive and age-integrated Colorado. Colorado Latino Age Wave is an initiative that supports the well-being of a rapidly growing Latino older adult population in Metro Denver through innovative services and programs. In order to address disengagement between teens and Jewish Life, the Foundation brought stakeholders together from the Greater Denver community and developed a plan for change. The LCFC has increased the visibility of Latino philanthropy in Colorado by creating a pool of donors who contribute funds to help nonprofits build their capacity to deliver high quality services to the Latino community. Live On: Build Your Jewish Legacy is a Rose Community Foundation grant initiative to help Jewish organizations and their donors promote a culture of endowment giving through wills and estate gifts. MazelTogether is a Jewish Life grant initiative that connects parents of prenatal through preschool-aged children to local Jewish life and to each other. Rose Women’s Organization awards grants to improve the health, education and welfare of women, children and families in the Greater Denver community. Rose Youth Foundation is a youth-led program that empowers teens to use the tools of strategic philanthropy to make a real difference. The following programs are past initiatives or programs that received substantial funding from Rose Community Foundation during their startup phase.